On October 10, 2017. investigators assigned to the San Bernardino County Human Trafficking Task Force assisted the San Bernardino Police Department (SBPD) with an investigation regarding the sexual exploitation of a minor. San Bernardino Officers received information from the victim’s mother stating that her daughter was in distress in San Bernardino. The victim was also a confirmed runaway from Kern County. SBPD Officers located the juvenile victim in the area of Crescent and 6th Street in San Bernardino. Human Trafficking Investigators assisting in the investigation determined minor was involved in commercialized prostitution and a victim of Human Trafficking . Investigators identified Adrien Michael Jamison of Riverside as the victim’s trafficker. 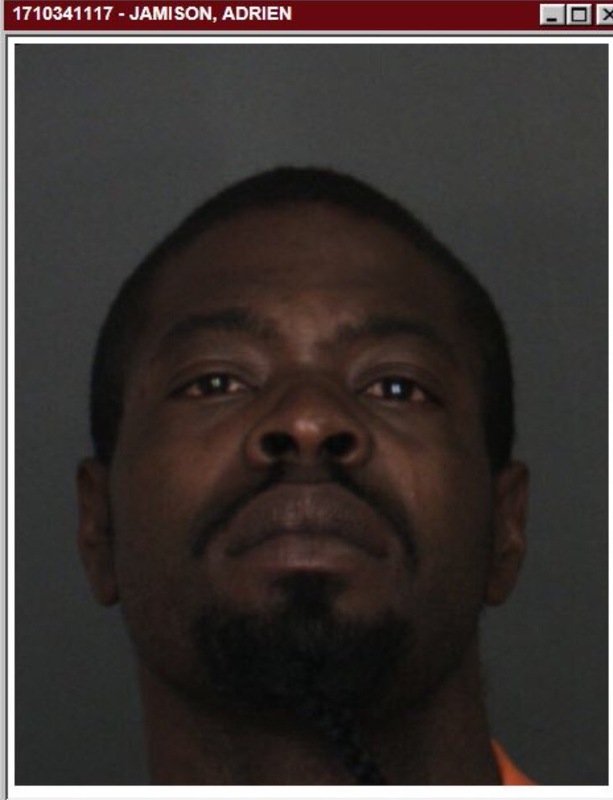 Jamison was located and arrested in the area of Crescent and 6th Street in San Bernardino. The victim was rescued, taken to a safe location, and provided services before being reunited with her mother. Adrien Jamison was transported to the West Valley Detention Center and booked for multiple felonies related to pimping, pandering, sexual exploitation of a minor, and human trafficking. Bail is set in the amount of $150,000. The mission of the San Bernardino County Human Trafficking Task Force is to further the identification, investigation, and prosecution of individuals or criminal enterprises who are committing crimes related to human trafficking and to facilitate the identification, rescue, and rehabilitation of victims associated with such activity.